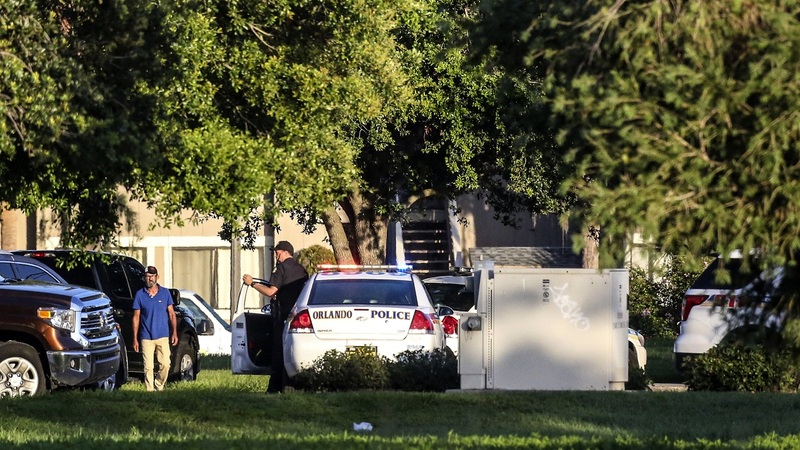 After a stand-off of more than 21 hours, US officers entered an apartment in Orlando, Florida, where a felon with a gun had barricaded himself with four children and found them all dead, a police chief said. The hostage situation began when the girlfriend of Gary Wayne Lindsey Jr left the apartment and told police she had been battered. Lindsey then fired at responding officers, seriously wounding one of them. Orlando Police Chief John Mina said at a press conference just before midnight on Monday that Lindsey, 35, was found dead in a closet when officers entered the apartment around 09:00PM.